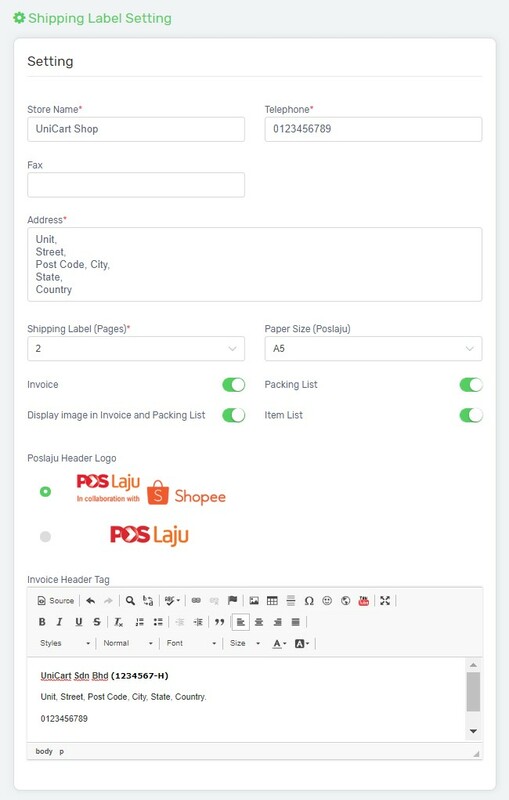 To fulfill Shopee orders with the associate courier providers such as Pos Laju, DHL and J&T Express, it requires to print 4 copies of Shopee shipping label in 2 A4 size of papers. 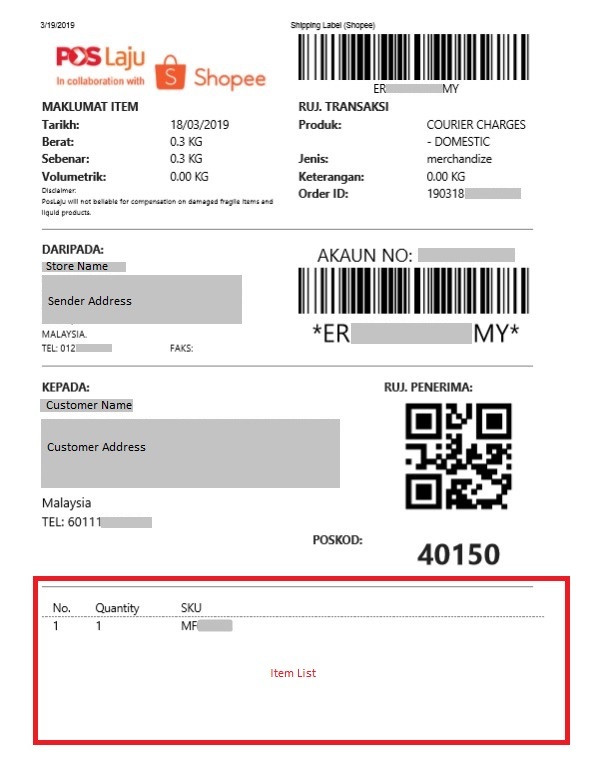 Now you can customize the Shopee shipping label by straight printing either in A5 or A6 size. You can also save the paper and printing cost by controlling the number of copies to be printed. This will increase productivity and efficiency significantly as there is no longer need to cut the papers manually. This feature is only available in Unicart Business Deluxe Plan and above. 1. Click on the More icon and select Setting. 2. Customise your Shopee Shipping Label by configuring the setting. 3. Click the Save button on top right after you have done setting up. 1. Select the unfulfilled order, and click on the Arrange Shipment button to fulfill the order. 2. Tracking Number will be generated after arranging the shipment. 1. 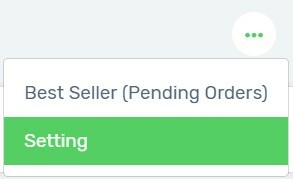 You can now print the custom Shopee Shipping Label by selecting the order and click on the Bulk Print (Custom) button. 2. If you provide dropshipping service, you can edit the sender name and phone no before printing. 3. You can also print Picklist by selecting the order. 4. 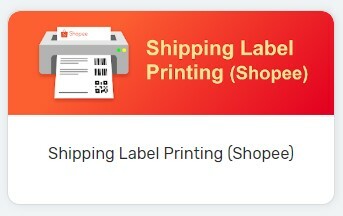 In case you want to print Shopee original shipping label with 4 copies, click the print icon from the individual order. Here is the sample of the custom Shopee Shipping Label with an Item List in A5 paper size. 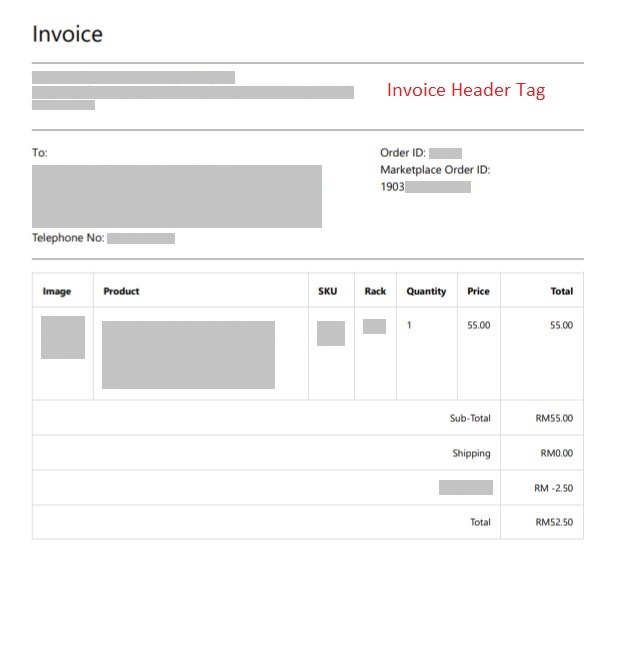 The sample of the Invoice in A5 paper size. The sample of the Packing List in A5 paper size. The sample of the Picklist. Copyright © 2018 Unicart. All Rights Reserved.